Fatherhood has softened Bradley Cooper. The proud dad of a toddler, Lea, with his partner, Irina Shayk, recently came home to Philadelphia to share his other recent triumph: A Star Is Born, his newest film, featuring Lady Gaga as his leading lady. Cooper starred and directed the film, and he also co-wrote the screenplay and the music. He poured so much of himself into the film that he feels like a father all over again—proud, vulnerable, and even a little nervous. But he need not worry too much, as the film is already receiving Oscar buzz. Cooper and Gaga, who became close friends during the filming, put their own unique spin on this powerful tale. 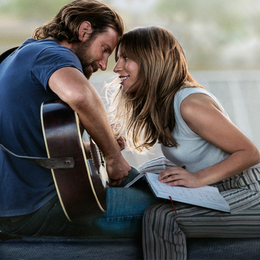 The story follows a seasoned musician (Cooper) and the struggling singer-songwriter he falls for (Lady Gaga), takes on the sweeping themes of fame, friendship, and family. It also tackles the issue of rebirth in the face of addiction. 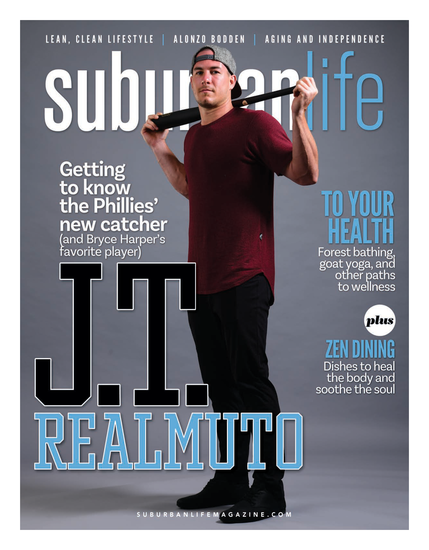 Cooper, a native of Jenkintown and Rydal, has the entertainment world as his oyster. Yet, he has insisted on coming home for a Philadelphia premiere, with a screening for the graduating class of his alma mater, Fort Washington’s Germantown Academy. Although he has risen to superstar status, including multiple Oscar nominations, (Silver Linings Playbook, American Sniper, and American Hustle), Cooper hasn’t let fame change him. Cooper took time to share his thoughts on why he wanted to make the film, his working relationship with Lady Gaga, and the “terrifying” act of sharing his singing skills. Why did you want to direct this production of A Star Is Born? This broken love story kept haunting me. So, shots kept coming into my head, and I realized I had to purge it in a way. I knew that I had to try. How did you approach making this movie? The truth is that it’s not just one thing; it was a sequence of sonic ideas. I love the faces and the eyes and voices and all of these performers who have such incredible talent. In terms of the human element, it was all inspirational. So, there is no pre-recorded track and no lip synching? Correct. We sang everything live, and that was terrifying, but I really relied on [Lady Gaga]. I had the benefit of time. I spent a year and a half taking vocal lessons, working on it and singing in front of people. I’ve been editing for a long time, so we also had the benefit of editing. How did it feel to be embroiled in the directing process? I wound up absolutely loving directing and making music. Also, you can’t lie when you sing. The best way to express love is through singing and music. If I could spread that in a way, I just knew it would be special. I just hope I get to keep directing because I truly love it. Did you feel extra challenged not only to act but also to direct this movie? For sure, it’s much more vulnerable, because anything the audiences don’t like I have to take the blame—so the buck stops with me. I have to take responsibility for every little moment. There is something beautiful in that; I got to make the movie that I wanted to make. What was the biggest challenge in making A Star Is Born? The hardest thing for me is that all of these people [put] their blind trust in me. When you get actors of this caliber in your movie, you want to make sure each of them is served and that this lasts throughout the movie. Tell me about one of the main topics addressed in your movie: dealing with fame. I think that is a personal choice, and someone can only take a part of your soul if you give it to them. I live a very normal life, and I choose to. It’s hard work to do this, but it’s the only way for me. My family and I live in New York, and we take the subway and we go to the park. So, paparazzi is an issue, but at some point, you have to deal with it, and it becomes a part of your reality like anything else. Any thoughts now that your movie is in theaters around the world? I gave it away; it’s in the hands of the audience now, and that’s a vulnerable thing to do.